With spring upon us, it is almost the time for classical music in New York City books. 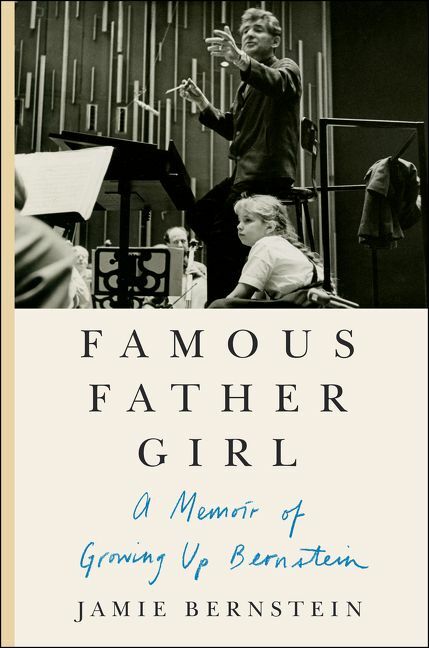 Let's take a look at three books that will deepen your knowledge of this musical genre: Famous Father Girl by Jamie Bernstein, A Mad Love by Vivian Schweitzer, and The Indispensable Composers by Anthony Tommasini. 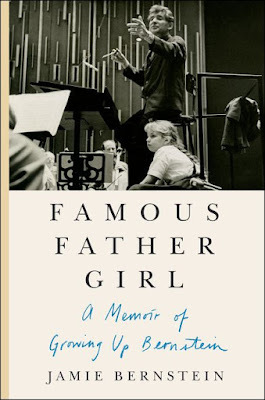 Leonard Bernstein is one of the most revered composers and conductors ever, and her oldest daughter, Jamie, gives a rare and intimate look at her father in this memoir. Bernstein was the composer of On the Town and West Side Story, the chief conductor of the New York Philharmonic, television star, humanitarian, and the life of every party. He was an enormous celebrity during one of the headiest periods of American cultural life. The luminaries that populated his world included the Kennedys, Mike Nichols, John Lennon, Richard Avedon, Stephen Sondheim, Jerome Robbins, and Betty (Lauren) Bacall. To Jamie, he was above all the man in the scratchy brown bathrobe who smelled of cigarettes; the jokester and compulsive teacher who enthused about Beethoven and the Beatles; and the insomniac whose composing breaks at 4 A.M. involved spooning baby food out of the jar. Leonard taught Jamie to love the world in all of its beauty and complexity, even when his own personal torments, which included his conflicted sexuality, insecurity, and vanity; threatened to tear apart the fabric of his family. In public and private, Lenny was larger than life, and Jamie invites us into her family's glamorous world. Jamie writes, "One morning I had to show Daddy something important and ran into his studio, where I found him sitting in his bathroom there, smoking away with a score on his lap. I begged him to look at whatever it was I was so excited about, and he replied, 'Oh, I'll be with you in a minute, darling - let me just finish this movement.' Then he exploded in laughter, which culminated in the usual coughing fit, and after pulling himself together, he explained to me why what he'd said was so funny. 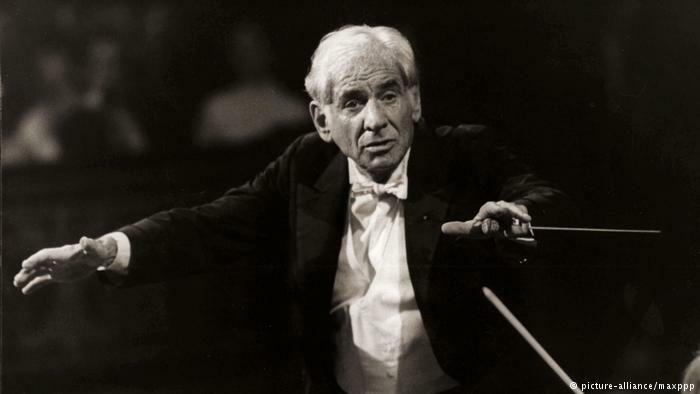 There simply was no moment when Leonard Bernstein wasn't being a teacher. Famous Father Girl is also the story of a young girl who caught the creative bug and had a desire to express herself musically. The tension of doing so while living under the shadow of America's most renowned musician forms the emotional core of this memoir. There are few art forms that are as visceral and emotional as opera, and few that can be very daunting for newcomers. There is no need for prior knowledge to enjoy a soaring aria or to be moved by a popular work like Carmen or La Boheme, but to fully appreciate it, one must know opera's history and understand how its components of music, poetry and theater come together. Pianist and critic Vivian Schweitzer, in the new book A Mad Love, presents a lively, entertaining introduction to the art form that has captivated audiences for centuries. 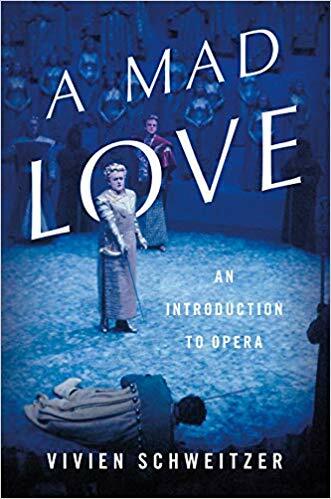 Ranging from what is widely considered the first successful opera, Monteverdi's L'Orfeo in 1607, to Brokeback Mountain and The Death of Klinghoffer in recent decades, this book offers a spirited look at opera's eclectic past and present. 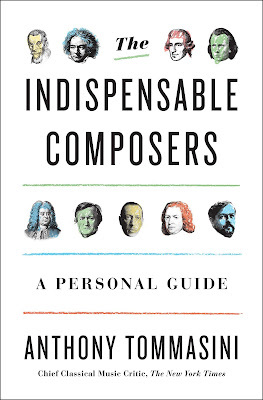 Schweitzer introduces readers to the genre's most important composers and some of its most influential performers and conductors, to its key terminology, from "coloratura" to "recitative." She delves into the longstanding debates about how best to pair story and song that have shaped opera for centuries, highlighting the ways that operas have shocked and delighted listeners. While dissecting opera's eclectic musical language, she equips readers to assess precisely how a particular performance succeeded or failed. There are many who feel that opera is "past its prime" or "a dying art form," but Schweitzer argues just the opposite, that it is thriving. Today, opera has moved beyond the confines of the opera house, with the Metropolitan Opera's live HD broadcasts available in 2,000 movie theaters in 71 countries around the world, with a reported audience of 2.7 million people. In recent years, opera has been presented in unlikely venues like bus depots and even bathrooms. During performances of the "mobile opera" Hopscotch in Los Angeles, audiences were driven among locations in limousines. As people discover opera in new places, Schweitzer provides a complete, yet, concise guide for both opera novices and the experienced fan alike. Compared to the popular introductions that are decades old and mostly written in textbook format or encyclopedias covering hundreds of operas, A Mad Love takes a fresh approach by balancing broad coverage with a concise and engaging narrative, which takes into account important new operas and the innovations in staging and performance that have changed the genre in recent years. Schweitzer has created a Spotify playlist to accompany her book, and it features many of the operas she discusses. Check it out at: http://bit.ly/AMadLove. "A Mad Love is meant to be read cover-to-cover and aims to place opera in a contemporary context," Schweitzer says. "In addition to the so-called 'standard repertory' the book explores key works by composers such as Rameau, Messiaen, Shostakovich, Gershwin and Kurt Weill. It aims to illustrate the myriad ways composers have created sung drama and, with the Playlist, to illuminate how opera has evolved from Monteverdi in the early 17th century to John Adams, Missy Mazzoli and Kaija Saariaho in the 21st." On how opera is different than musical theater, Schweitzer says, "Opera in sung drama - a synthesis of poetry, music, theater, and visual arts. Opera's vocal requirements are unique: unlike in musical theater or in most genres of popular music, opera singers are not mic-d (unless requested by a contemporary composer). Opera singers are trained to project their unamplified voices over loud ensembles in large spaces while singing virtuoso music." When Anthony Tommasini, the chief classical music critic of The New York Times, began to listen to classical music as a child, he was filled with questions of why a particular piece of music moved him and how the music worked. Over time, he realized that his passion for this music was not enough, that he needed to understand it. With Bach, he wondered who he was and how we account for his music and the unshakeable hold it has on us today. As a critic and the author of three books, including a biography of the composer and critic Virgil Thomson, Tommasini has devoted particular attention to living composers and overlooked repertory. However, for him and a lot of other classical music lovers is that the canon has remained central. In 2011, he wrote a popular series for The Times, in which he somewhat cheekily set out to determine the all-time top ten composers. He wrestled with questions of their greatness, and also asked for input from readers. Some of them railed against classical music's obsession with greatness, but then, paradoxically, were angered that Mahler was left off the final list. This intellectual game reminded them of why they loved classical music in the first place. 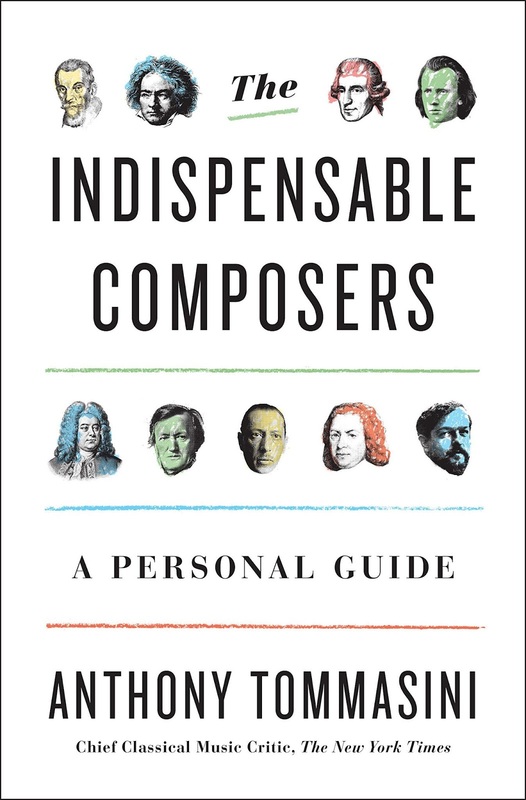 In the new book The Indispensable Composers, Tommasini has created his own personal guide to the canon, and what greatness rally means in classical music, pondering: What does it mean to be canonical now? Who gets to say? And do we have enough perspective on the twentieth century to even begin assessing it? Tommasini makes his case by drawing on elements of biography, the anxiety of influence, the composer's relationship with colleagues, and shifting attitudes toward a composer's work over time. Since he has spent his life contemplating these titans, he shares impressions from performances he has heard or given or moments when his own biography proves revealing. In addition to his work as a critic, Tommasini is also a pianist who has made two recordings of Virgil Thomson's music on the Northeastern label, which were supported by the National Endowment for the Arts. Drawing from when he first heard Bach as a child, he writes, "Whenever I hear Bach's Mass in B Minor, or other of Bach's incomparable works, I usually come away thinking that, for his matchless combination of technical mastery, ingenious musical engineering, profound expressivity, and, when so moved, unabashed boldness, Bach was the greatest composer in history. "But what is greatness in music? Does it matter? Does there need to be a greatest composer in history? Does the canon expand? And who gets to say what is canonical now? "It makes sense the nickname Eroica (Heroic) has stuck to Beethoven's Third Symphony, a colossal piece. Yet this music is also audacious and unpredictable. On the surface the symphony's four movements might seem, at first, to come from different spheres: a brisk, purposeful Allegro with a searching development section that climaxes midway in a gnashing burst of dissonant chords; a grimly imposing Funeral March; a breathless Scherzo, at once godly and giddy; a romping, mischievous Finale that is somehow the ultimate statement of the heroic in music. Yet the movements are linked, almost in a subliminal way, by a small group of short musical motifs that run through almost every moment of this fifty-minute score, lending the overall work inexorable sweep and structural cohesion. Talk about greatness."